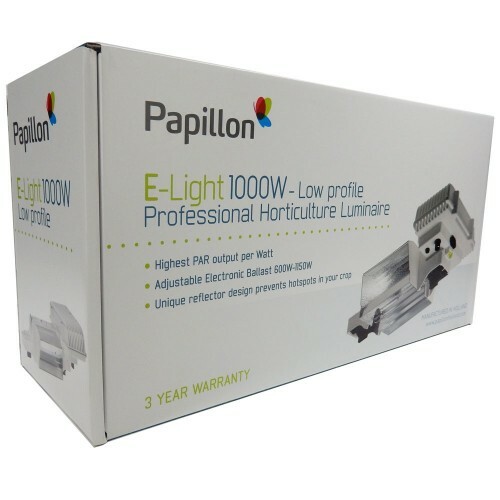 Papillon 1000 Watt E-Light is a fixture that is known for its cutting-edge quality and design. Thanks to the innovative process of production and materials of exceptional quality, Papillon 1000 Watt is one of the most popular lighting systems on the market. It can be used in every type of growth environments, especially in those that are limited by lower ceiling lights, providing an ideal amount of light and heat that is perfectly balanced as the plants do not overheat. What distinguishes Papillon 1000 watt E-Light from similar products is its efficiency, outstanding reflection capacity, and durability. 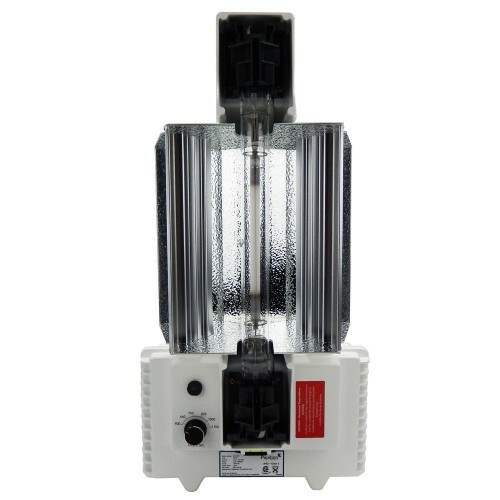 Although high power, the Papillon 1000W E-Light saves energy while producing a large amount of light. Specially designed 1000w double-ended lamp combined with superior reflectors provides Papillon lamp with excellent PAR output per watt. It means that Papillon 100 watt e - light will use the same amount of energy as some similar fixtures, but it will produce much more light than any other light fixture. These unique reflectors are made of high surface density material, which in combination with a special open reflector design, leads to reduced heating of the lamp. 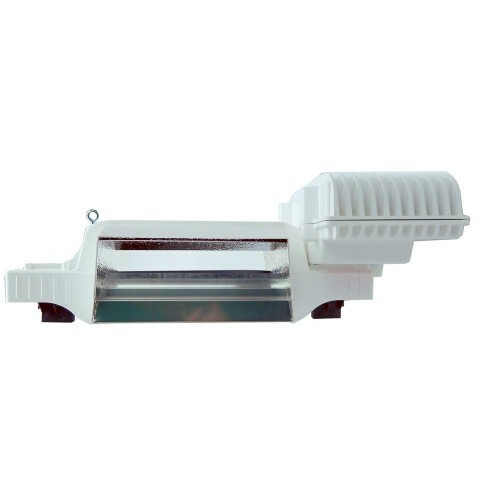 PAR-light, convection heat, and infrared radiation are generated, so the use of such designed reflectors achieve uniform distribution of thermal infrared radiation and PAR light. Using the reflector, the illuminated area will develop heat, but it will not be transferred directly to the plants. 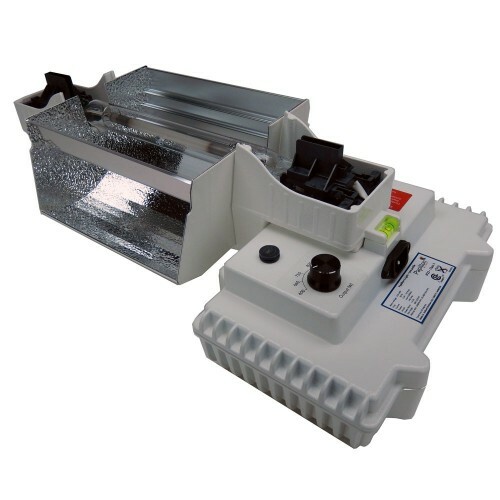 Using an open reflector system, the Papillon 1000w generates a natural airflow that will ensure that heat is distributed all over the environment and in this way will prevent overheating on plants. This results in the spread of excessive heat that does not return to the reflector, which will significantly affect the durability of the fixture. At the same time, the Papillon lamp produces a lot of light, covering a wide growth area, and its light beam penetrates deep under the surface of the plant, providing it with the necessary light and heat. The wide light beam from the Papillon lamp allows for a lower height of the mounting and at the same time, it maintains the opportunity for cross-over lighting. This also achieves a good evenness of light through the growing area and deep insertion of lights through a dense canopy. Thanks to the high reflection capability, the Papillon 1000 w E-light achieves 10% higher reflective μmol values ​​than any similar fixture on the market. The Papillon 1000 W Lamp comes with a specific safety cover that has the function of preventing overheating. In fact, the protective cover represents a thermal barrier located between the hot surface of the reflector and the plant or any other object that could be in contact with it. Providing protection, this safety cover will reduce the temperature from burning 200 degrees to a fantastic 70° C. This innovative fixture allows unlimited airflow around the lamp to easily maintain an optimum operating temperature. When mounting Papillon 1000 w, it is recommended to leave an empty space of about 1 meter between the fixture and the top of plants. As it is possible for the plant to be exposed to high heat, make sure that the tops of the plants are not too hot, and adjust the height accordingly. Your plants will grow, so it is another reason to adjust the height properly. The best just got better! The new Gavita Pro line e-series Grow Light are improved models and are su..
Lumii 1000w 400v DE Grow Light Kit The LUMii 1000 Watt Lighting Kit gives you professional leve..
Parlux DE 1000w Digital Grow Light Parlux DE 1000w digital grow lights run at high frequ..